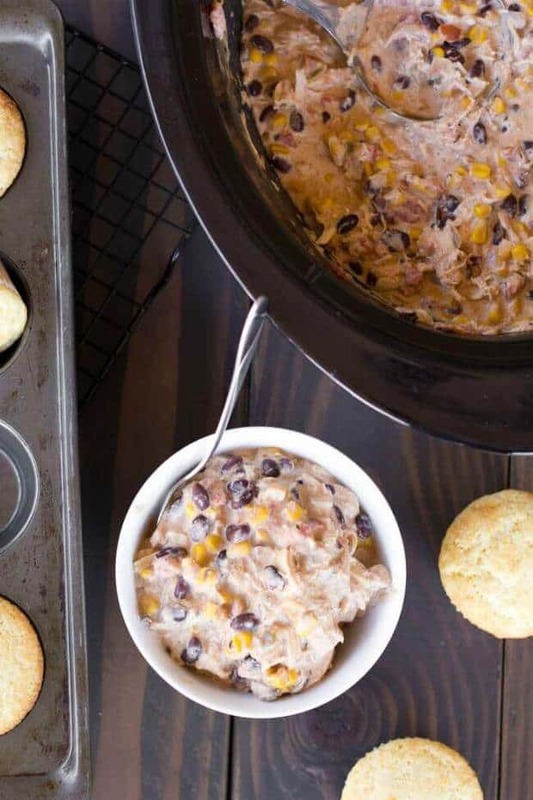 An Easy Cheesy Crock Pot Chicken recipe that will really love of your family! Ok, third time’s a charm… right? 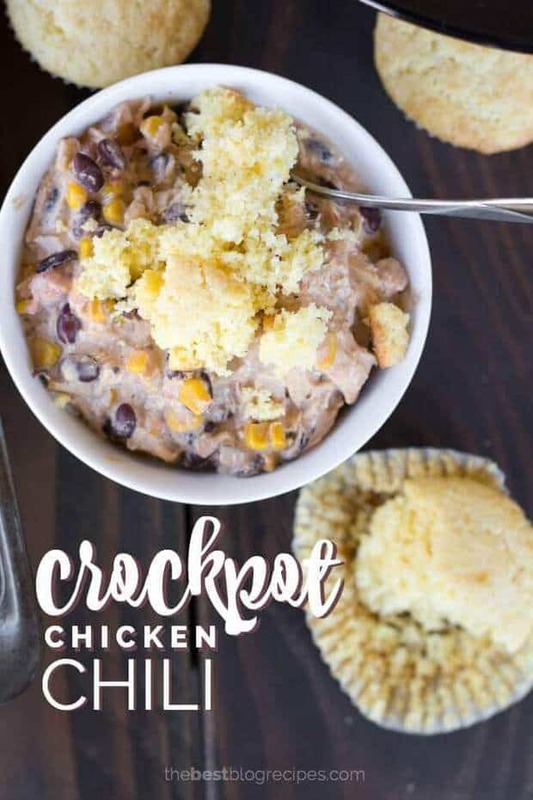 I keep coming back to this post to write up my introduction to this awesome Crock Pot Chicken Chili recipe and I’m having a huge “brain fart”. Yes, I seriously just said that…. in a post… on a food blog. About the only thing that my my sleepy, morning sickness, chasing the baby all day pregnancy brain can come up with is that “This recipe is da bomb yo”! I might be having a silly Monday. This recipe was amazing! Even with having terrible morning sickness and not being able to eat much I loved this chili. So much in fact that I went back for seconds, and I might have even had it for breakfast the next morning… but who’s keeping track? It does have a kick to it that makes it even more delicious and worth making. It’s creamy and we both rated it as a 5 star Chicken Chili (just imagine me making an invisible hash mark in the air to indicate that I’ve done good and earned brownie points in the dinner department). I told you…. silly day! 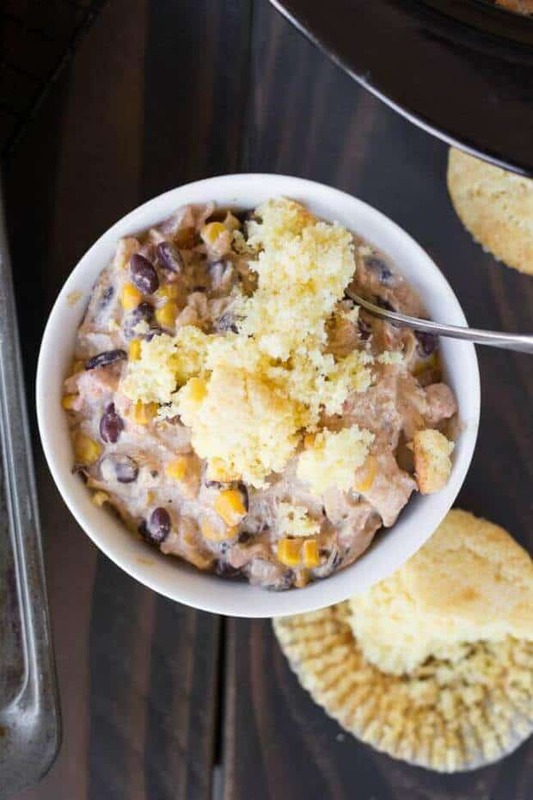 This Crock Pot Chicken Chili recipe has been slightly adapted from the awesome blog Budget Savy Diva. 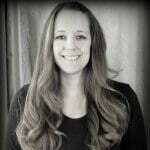 If you haven’t visited her blog yet you really should! Lot’s of yumminess going on over there! 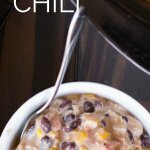 The Best Crock Pot Chicken Chili is one of the best soups I have ever had! 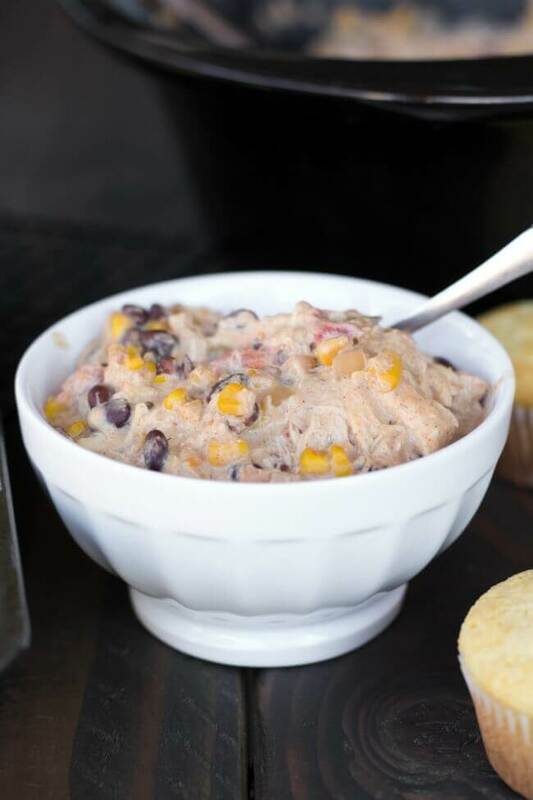 In your crock pot combine your black beans, corn, rotel tomatoes, ranch mix, cumin, chipotle chili powder, onion powder, ground red pepper, minced garlic, ground black pepper, garlic powder & chicken stock. In a large skillet heat your butter and add chopped onion. Cook over medium heat until onions are translucent and tender. Add your onions to the crock pot and mix well. Cut your chicken breasts in half and add to the mixture. Spoon the cream cheese over the top of the chicken mixture and cover with a lid. Cook on low heat 5-7 hours, or until your chicken breasts shred easily with a fork. When chicken is done, remove from the crock pot and shred with 2 forks. Return to the chili mixture and stir well until all cream cheese lumps have dissolved. Try this One Pot Chili Mac & Cheese recipe for your family dinner. Can this be cooked on high for fewer hours? I’ve made it many times in a pot on the stove and just precooked the chicken! It goes way faster and tastes just as good. I just boil & shred the chicken before adding it to everything else, then warm up as I would any other soup or chili. I haven’t tried it that way yet! I love this recipe and have made it several times when I was living in the states. I now live in Australia and am sad that we don’t have Hidden Valley Ranch Seasoning mix or any kind of Ranch Dry Mix. Is there a replacement so I can make this for dinner tomorrow? I sure hope so! Thank you! Hi! Have you ever doubled the recipe? I want to make this for a large group this coming weekend. Thanks!! I haven’t personally, no! I would assume you can? I hope it turns out great for you! can you add in a half package of taco seasoning mix? I just had to report that I won our church’s Chili Cook-Off tonight with this recipe exactly as written. I made it earlier this week to test it and was so impressed with the complex flavors that I knew this was the recipe for the competition. Thanks so much for sharing. I promise to give you all the credit! We need nutritional info for this dish. Please! Hi, Keith – I don’t have any for this dish. Thanks for stopping by! This is my daughter’s favorite meal. she even asks for it for her birthday! I make one change that we love. Instead of all of the other seasonings, I add 1 pkg. of Hidden Valley Fiesta Ranch dressing mix along with the other pkg of Ranch dressing mis. I have also tried the Hidden Valley Southwest Ranch dressing mix, but that is too spicy for our taste. I’ll make this chili this week although it’s still hot outside, for my daughter to take some to college with her. I won a chili contest with this recipe. It is awesome. I really liked this recipe and I made this as written however next time I will reduce the amount of red pepper, not a heat lover and I will add cornstarch to thicken, thanks for the recipe. I made this for a chili cook off contest and won 1st place out of 22 entries!! Good stuff! Holy Cow Judy… that is AWESOME! I am so glad you won 🙂 And THANK YOU for taking the time to stop back by and leave us this comment! You are so welcome Joyce! Hope you loved it as much as we did! How many servings does this make? Wondering if I can double recipe if not enough. I would say around 4 big servings! If you have a large family, I would definitely double it! Just finished making this recipe…by far the best chili recipe I have ever tasted!!!!!!!!!!!!!!!!!!!!! Thanks for the share!! How big are the chicken breasts? I have 2 huge ones that equal to about 2 1/2 lbs. Think I can double the recipe with them? Thanks.. this recipe looks so easy. Crockpot chile is perfect for a cold winter night. Pinned. YUM! This would be perfect for our Packer football parties, will be making this! Pinned to my Game Day Main Dish board! Just tried this and love it! Great flavor without too much spice for someone who has an ulcer. Wondering if you know anything about the calorie content? Shauna, you’re totally cracking me up! I love reading your posts! I totally understand that “brain fart” thing. Happens to me every time I’m putting a blog post together – haha! This chili looks amazing! Thanks for sharing the recipe, yum! Pinning! I’ve been wanting a good chicken chili recipe. I’ll be making this. Thank you. Hope your feeling better soon. Bring it over to Tuesday Trivia and share it.